General Electric fell Friday morning even if its earnings and revenue were equal to Wall Street’s expectations. The drop was attributed to the concerns about Europe. Chairman and CEO Jeff Immelt said that GE planned for a challenging environment across the Atlantic but the situations proved to be weaker than expected with industrial revenues dropping by 17 percent and had a negative impact on its bottom line. 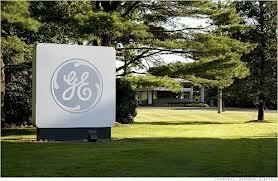 GE reported revenue of $35 billion, which is the same as last year’s numbers. Operating earnings were $4.1 billion, which was up 14 percent from the same quarter of 2012. Earnings per share were at 39 cents. If specific items such as the one-time gain of 8 cents per share from its sale of the remaining stake in Comcast and NBCUniversal were excluded, then the company earned 35 cents per share. Analysts said that a noisy quarter would give the company’s headwind but growth in its backlog to $216 billion. The reiteration of its 2013 earnings forecast should curb the downside. Shares of GE fell 3.4 percent pre-market to 21.91. Despite the decline from GE as well as the drop from its largest component IBM that reported disappointing results last Thursday, the Dow Jones Industrial average was still expecting for a positive start. Futures are up 45 points an hour before the trading started. The world’s largest maker of jet engines and electric turbines said it is expected industrial profit to go up by high single digits to double digits in 2013. Its initial forecast was for a double digit growth. The CEO blamed the slumping sales of gas turbines and wind turbines for the outlook cut as well as the weakening European economy. Immelt still expects the company’s overall earnings to improve in 2013. This includes GE Capital. The company didn’t release a specific earnings forecast.